Locals and tourists can take advantage of the many great things to do in Scottsdale this weekend. There are tons of fun things to do in this historic city around every corner but we didn't list all of them, just our favorites. Scottsdale is known for their shopping and dining experiences but don't let that fool you, we also offer awesome activities and attractions too. So buckle up and get ready for the best things to do in Scottsdale! Due to the popularity and intimate nature of this boutique theater, all shows sell out in advance so book your seats early. 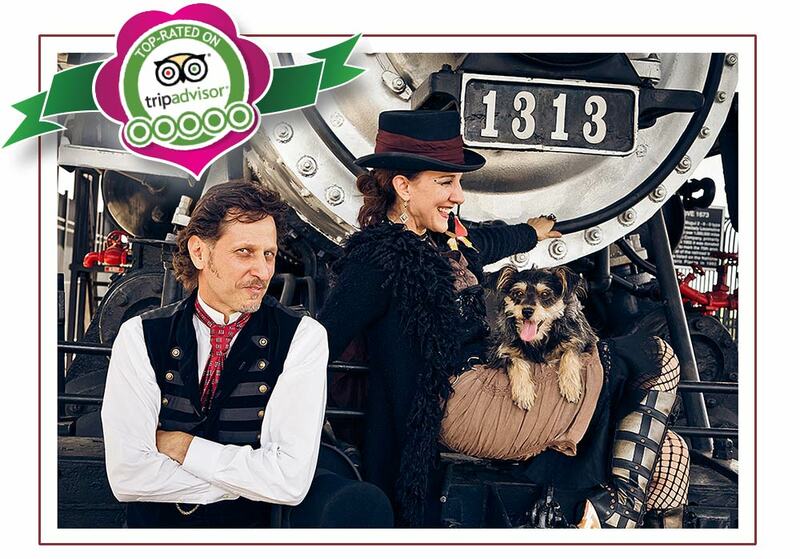 For ticket availability and dates check out this Magical Theater Show in Phoenix. Want to visit Scottsdale up-close? 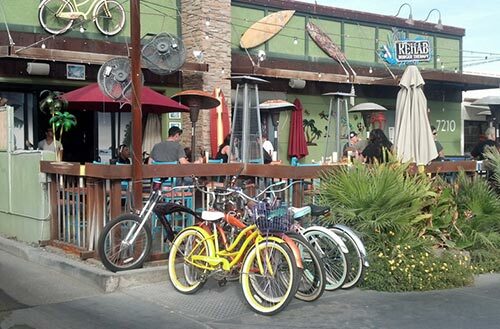 Segway of Scottsdale offers four different tours through the streets of old-town. These two-hour tours include a max of six guests and a state-of-the-art audio system so you can clearly hear your tour guide's narration. In addition, they even offer a money back guarantee. It's a win-win-blast. 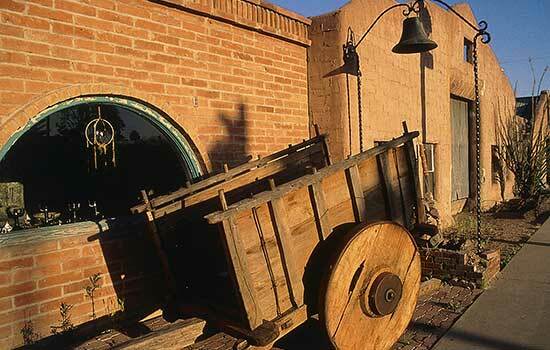 Home to the famous Paolo Soleri wind-bells, Cosanti offers a unique art experience. You’ll tour a diversity of one-of-a-kind art pieces, such as ceramic and bronze wind-bells, space frames and cause bells. You’ll even see how these works of art are created and are free to purchase your own wind-bell. If you’re interested in learning the history of Scottsdale and the Southwest, one of the best things to do in Scottsdale is visit the Scottsdale Historical Museum. You’ll view temporary and permanent exhibits featuring the rich heritage and culture of the area. In addition to the exhibits, you’ll see research and educational programming for a truly informative visit. Scottsdale Museum of Contemporary Art is an excellent place to learn a bit about history and the present as well. You’ll browse art displays from the past, while also viewing the work of many local artists. The museum is also an architectural and design splendor-- both inside and outside of the museum. 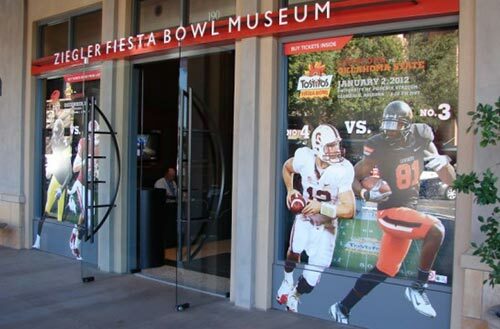 The Zeigler Fiesta Bowl Museum is the perfect opportunity for sports fanatics to relive some of the greatest moments in Fiesta Bowl history. Even if you’re not a fanatic, you’ll still enjoy the memorabilia and trophies from the famous Fiesta Bowl. This museum is relatively new and celebrates the art, history, and culture of the American West. The exhibitions change regularly, along with events, tours, and activities that bring to life western heritage and its unique expression. This museum is now a Smithsonian affiliate and has received many accolades since opening in 2015. This theatre prides itself on providing children and adults the opportunity to learn and grow as actors in a creative and inclusive environment. They primarily cast local talent and give workshops and lessons in all aspects of the theatre arts including directing and choreography. 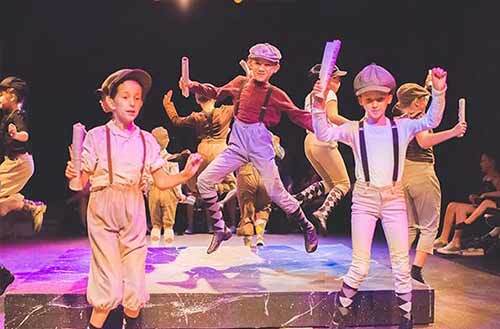 There are eight adult productions each year and another five shows for children ages 3 to 19. They are located in the Scottsdale Fashion Square. 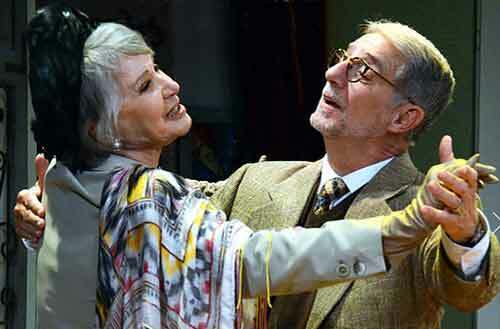 This arts center brings a season full of diverse and inclusive programming. A wide variety of performances can be seen here including dance, classical, jazz, film, theater, pop and more! 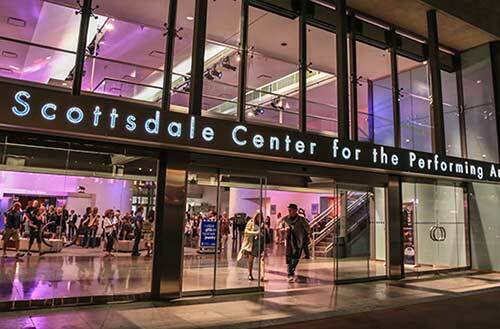 Catch a performance in their Virginia G. Piper theater or see one of their popular Concerts Under the Stars at the Scottsdale Civic Center Amphitheater. This member community of practitioners in the theatre arts brings well-crafted works to the valley that promote communication and interaction between themselves and the audiences. They provide a variety of productions throughout the year including dramas, musicals, comedies, short plays and original works, all at a price that is affordable. You can become either a sustaining member or an artistic member. 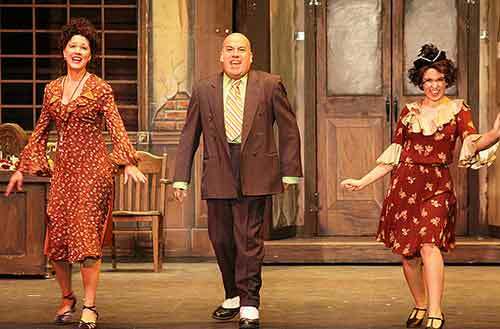 Experience large-scale Broadway musicals here in the valley with SMTC, in their entire original version. Singing, dancing, great sets, and full live orchestra make these affordable shows a real treat for Broadway lovers. 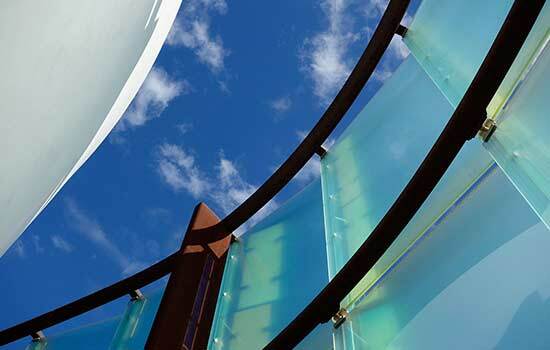 The Tempe Center for the Arts is now the home for SMTC and serves the community well with its modern facilities. 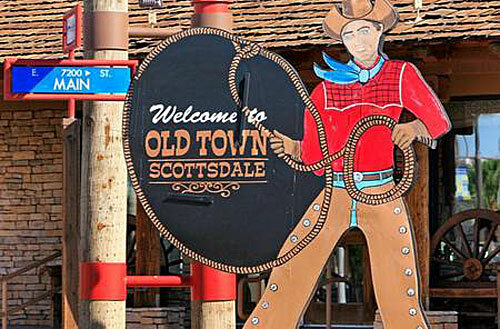 When you visit Old Town Scottsdale, you’ll get a taste of the Wild West and reminisce about the good ol' days as you walk down the wooden sidewalks featuring Southwestern specialty shops and tempting snacks. You’ll learn the rustic traditions as you get a taste and imagine the Wild West. 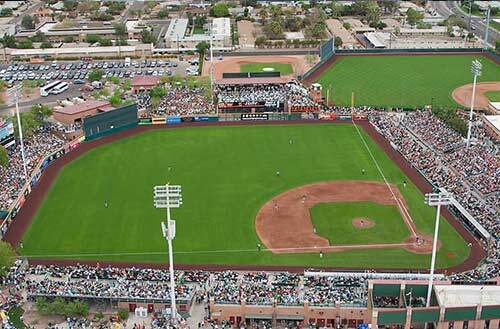 A popular attraction in Scottsdale is the Scottsdale Stadium, which is home to the Giant’s 2012 Spring training. Even if you’re not a sports fan, there are lots of year-round events and meetings hosted at the stadium. Besides, who doesn't love popcorn and a frozen malt? 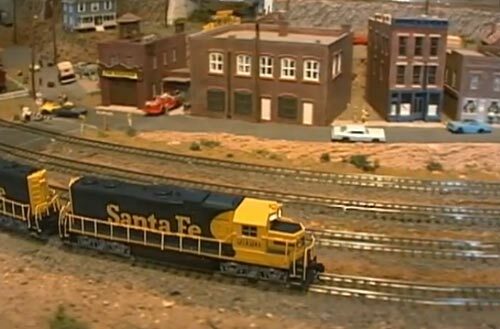 Whether you’re looking for something to do with the family or just plain love trains, you’ll enjoy McCormick-Stillman Railroad Park. You can ride the Paradise and Pacific Railroad while you spend the day learning the history of the railroad and visit exhibits. There is even an antique carousel, playgrounds, and picnic areas and don't forget to wear your overalls and engineer hat! 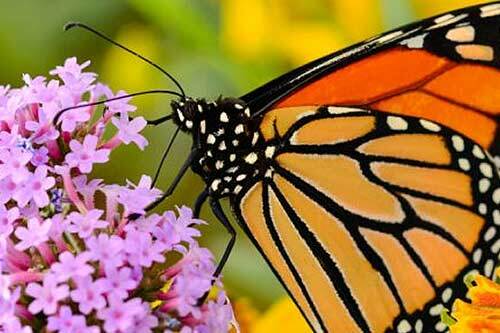 American's Largest Butterfly conservatory featuring butterflies from all over the world. This rainforest habitat has a large glass atrium within which you will find butterflies flying freely. There are also interactive nature exhibits, a 3D educational movie, a gift shop, and cafe. You can also watch in real time as the butterflies undergo their metamorphosis, in the Butterfly Emergence Gallery. 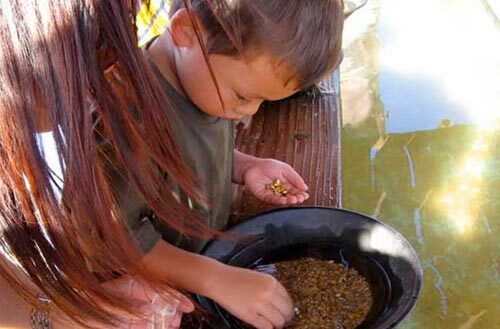 Scottsdale is full of fun things to do with the family. One of the hotspots for family fun is Cracker Jax. From go-kart tracks and a bungee dome to water wars and bumper boat lagoon, your family will have a blast at Cracker Jax. You can even have a more relaxing visit by playing miniature golf, checking out the arcade, or a family lunch at the restaurant. It's a fun day to be had by all. Live like a real cowboy at MacDonald’s Ranch. 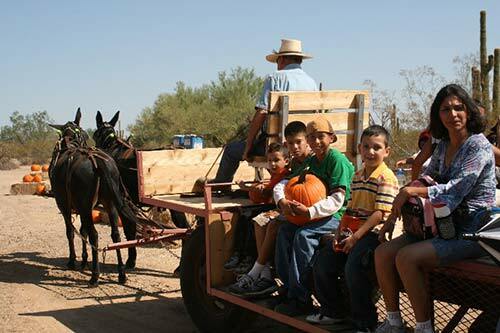 Ride horseback on the trails, spend the day visiting the petting zoo, or enjoy stagecoach rides. Afterward, hang around for a cowboy cookout and great entertainment while you walk with a limp. Sleeping on the desert floor not necessary. Everyone has different tastes and interests and that's why My Arizona Guide offers so many options. My Arizona Guide offers a diversity of things to do in Scottsdale, including Eco tours, cultural tours, and adventure tours. For more Wild West fun, check out Rawhide. Rawhide is much more than an old western town. It offers gun shows, dancing, live entertainment and a steakhouse with big meaty entrees. There are also many shopping areas to purchase your western attire, souvenirs so you too can be an urban cowboy or cowgirl and put some spurs on those boots, mister! Scottsdale is set right in the heart of the most beautiful desert scenery in Arizona. 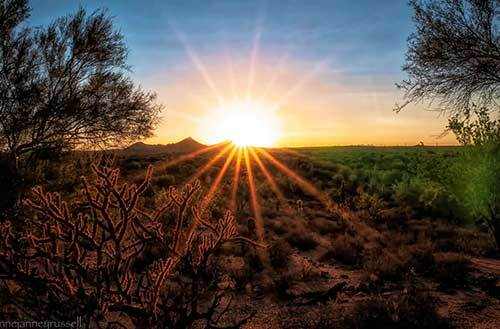 To explore the true beauty of the desert and all of its inhabitants, head to the McDowell Sonoran Conservancy. You’ll see breathtaking desert landscapes and numerous events in the nature preserve. Just watch out for the pointy little critters. Have you ever wanted to be a real cowboy? 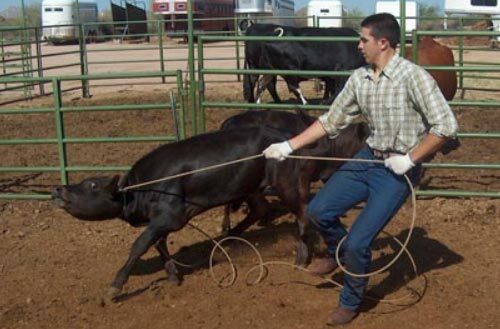 Now you can at the Arizona Cowboy College. You’ll be transformed from a city slicker to a real cowboy for the true Wild West adventure. Now go grab those chaps and get out of the house! No matter if you’re looking for a little thrill or just want to connect with nature, 360 Adventures has lots of wild rides! 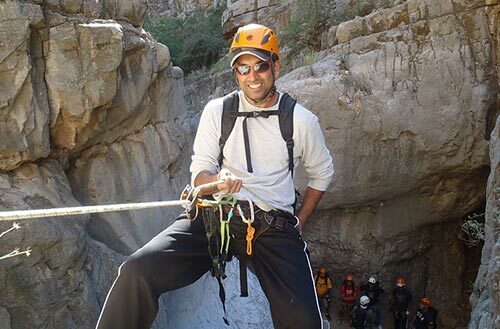 Explore the tallest mountains as you hike or bike the trails, or get your adrenaline pumping with air or water tours. You can even rock climb and canoe right in the desert. Learn about Scottsdale’s culture, geography, and history during an exciting adventure. 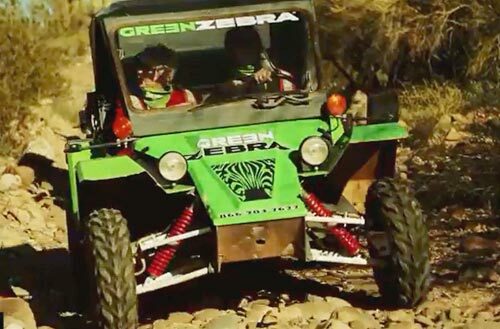 An experienced local guide with take you on a tour of the desert by Tomcar for an education and fun road tour. Bet you never had one of those on your school tours! Imagine floating quietly over the desert like a hawk in flight with a 360 degree view of life below. This exhilarating experience will be a memory of a lifetime. 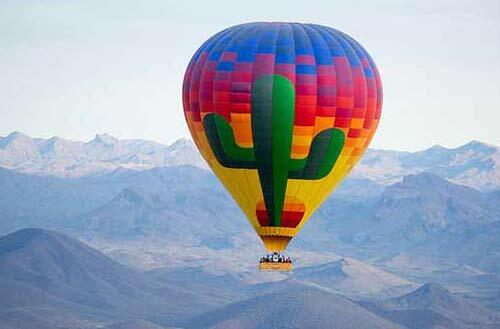 Featured by Fodor's Travel as being the best balloon experience in Phoenix for the past 20 years, this is something that you and your family will talk about for years to come. The Arizona Food Tour is perfect for those with a passion for food or just want some excellent eating. The three hour-long walking tour takes you to the best restaurants in Scottsdale. Along with the tour, you’ll get a taste of the area’s culture as you enjoy distinctive food and chat over wine or coffee or just deserts, mmmmm. If you love wood-fired cooking, head to Roaring Forks, where you’ll find bold American cuisine. Although the food is prepared over a simple wood fire, the taste will leave you craving more. 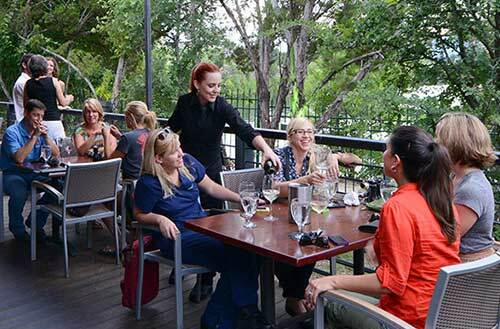 Roaring Forks not only offers excellent food but the perfect blend of intimacy and energy for an amazing evening. If you’re looking for a little rehabilitation after a long day, head to Rehab Burger Therapy. Unwind after a long day with great food, entertainment, and friendly people and keep those fancy sauces going! 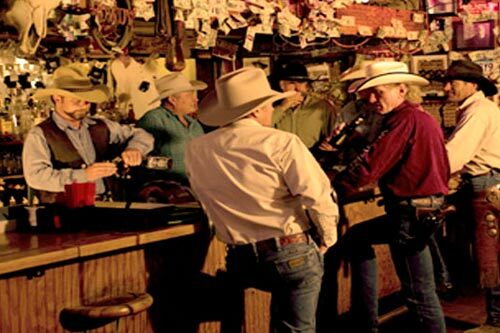 The Rusty Spur has been in business for over 60 years, bringing you that old west country bar feeling. They have live country music 7 nights a week. The building was constructed in 1921 and started out as a bank. Now it is a registered historic landmark. So if you are looking for a country saloon to wet your whistle, this might be just the place for a pit stop. 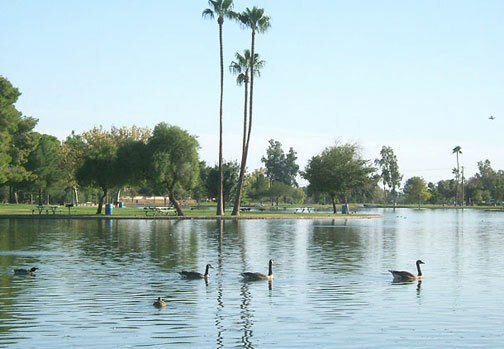 Enjoy a relaxing day at Chaparral Lake. Under the warm sun, gather at the lake for a day of boating and picnicking. It’s the perfect place outdoor spot to spend time as a family with a baseball and barbecue. Can't get more American than that! 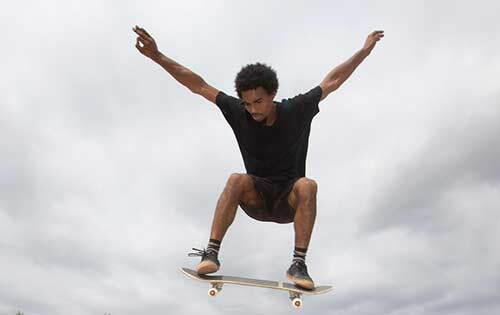 If you love skating, you have to check out the McDowell Mountain Ranch Skate Park. The modern edge park is actually one of the newer skate parks in Scottsdale. Not only are you able to skate for free, but you can also cool off in the pool next door. Free is good. Skating is even better! Arizona's largest climbing gym. 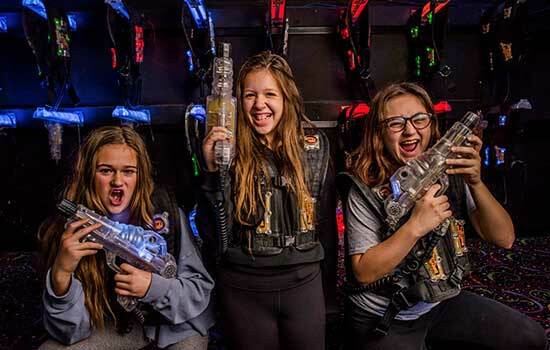 This family-friendly facility is fun for all ages and all ability levels. Everyone must sign a waiver. There's top roping, bouldering, and lead climbing so everyone from beginners to experienced climbers can climb. There's also a full gym with great classes including yoga and team building. Do you shop till you drop? If so, head over to Spree! The Art of Shopping. You’ll enjoy a custom-tailored shopping tour to the best shops and boutiques in Scottsdale. Gather your gal pals and spend a day window shopping or finding that perfect outfit. Well, that's our list but if you want more, here's even more of our favorite fun things to do in Scottsdale. This list is constantly updated so please write us and offer your favorite choices. We would love to include them and share them with the world. Have fun exploring!